over 50 schools, and over 20 hospitals. Trust the safety of your environment to qualified abatement professionals. 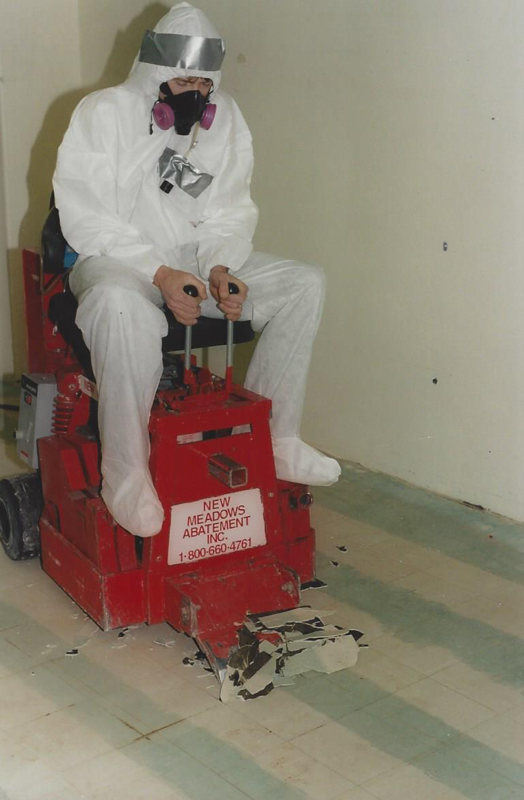 We have the expertise and the experience to remove asbestos from your home safely and efficiently. Mold spores can cause serious health issues and adversely affects indoor air quality. Don't delay in getting it removed. Guano can be dangerous to your health. Our technicians are trained to remove guano while minimizing the spread of spores. Protect your family from asbestos contaminated vermiculite. Let us safely remove it using industry best-practices. Since 1987, New Meadows Abatement has removed asbestos from over 5,000 Maine homes, over 50 schools, and over 20 hospitals. We have also removed toxic mold from over 200 Maine homes in addition to many schools and institutions. Our 30 years plus of experience in the environmental abatement field enables us to provide our clients with professional, quality abatement services in a variety of settings, large or small. We seek to educate Maine residents about the laws and regulations for safely removing asbestos and mold spore removal. In addition, you will find photos of common household products that contain asbestos so that you can identify potential dangers in your home. Lastly, our site is intended to help prevent the contamination of homes caused by the illegal removal of asbestos. It is estimated that nearly half of the asbestos in Maine is removed illegally. Just knowing what questions to ask will help you to ensure that the asbestos being removed from your property is being handled by certified and licensed professionals. If you can't find all of your answers here, give us a call at 207-443-1071 or e-mail us at info@newmeadowsabatement.com. Contact us today for a free, no-obligation estimate for asbestos or mold removal in your home!